Yes, today is NATIONAL CANDY CORN DAY! 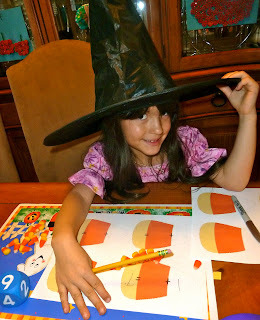 after all candy corn is yummy & a timely Halloween treat! and 9 to a page for the recording sheets. Note: I threw in 1 or 2 that did not fit to see if they could figure it out. 1. Use letter tiles to make & read words on each mat. Here's a little peek at some of the words the Lil Divas made. Note: I used the same template listed above for the word family mats to make the addition mats. 2. Repeat step 1 for second number in equation. 3. 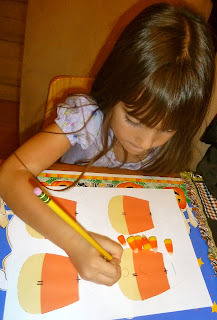 Add/count candy corn & record answer. 4. Repeat until all candy corn templates have been used. 1. large candy corn shape on card stock or other firm paper. 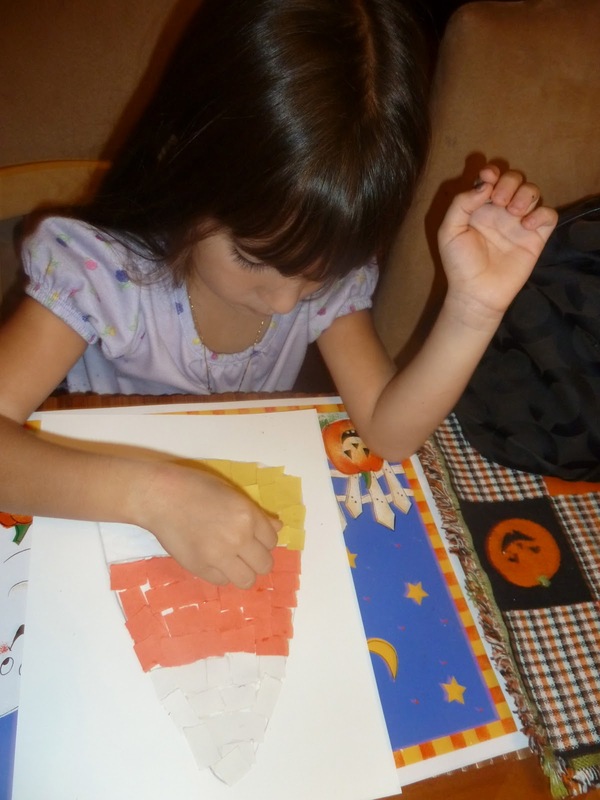 Prep: Have child help you tear paper into pieces to use for the project. 1. Apply glue to the section you will work on first. We started at the top with white. 2. 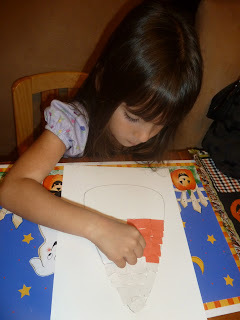 Apple torn pieces of the correct color - encourage child to cover all spaces. 3. Move on to the middle section, apply glue and place torn paper pieces into place. 3. Move on to the final section, apply glue and place torn paper pieces into place. 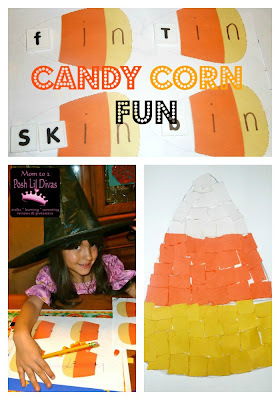 Now you have a fun torn paper candy corn to display! 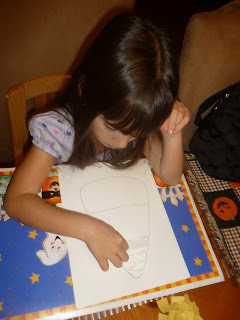 This is an easy project that is fun for little hands! it might help to cut paper into strips for them first & then let them rip. younger children so they don't get tired! What a fun day to celebrate. Great activities! I would love to have you join the AfterSchool party and share this post.